Digium is the sponsor and maintainer of the Asterisk open source project, with its open source code developer community that uses and continually enhances Asterisk includes some of the brightest minds and innovators from 170 countries, with close to two million servers running strong. Asterisk is used as the foundation of the refined Switchvox solution. No need to memorize special “star-codes” or awkward processes to perform simple tasks! 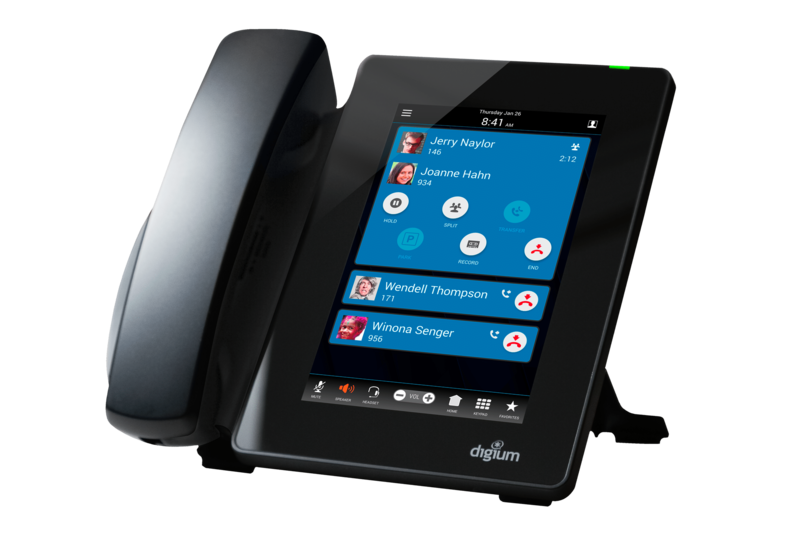 Our Digium phones and our Digium service are integrated as one so using it feels like a complete phone system should. And because its our phones and our phone service, and support issues lead to fast resolution — without frustration or finger-pointing. With all features included for every user at one price, you can save more than 60% on your initial investment and 80% on your total costs. No more nickle-and-dime nonsense. Switchvox is able to provide a unified communications system for one location or many locations for the best value anywhere! With Switchvox, phone manufacturer and cloud service provider are the same name — built specifically to work together as one trusted and supported solution. Make vital information available to employees and deliver a world-class customer experience by integrating your business software in new ways. Whether you want to own the server, or prefer an affordable and hassle-free cloud solution, or any combination for the best benefits of both technologies — we can deliver. See who us in the office, and know who is on a call or away from their desk. Call rules update automatically based on an employee’s presence. Receive, transfer and record calls from any phone any location or use the Switchvox Mobile Softphone App so important calls always connect. See details about all calls in your system and where they go. Custom, statistical reports can be scheduled and emailed to you automatically. 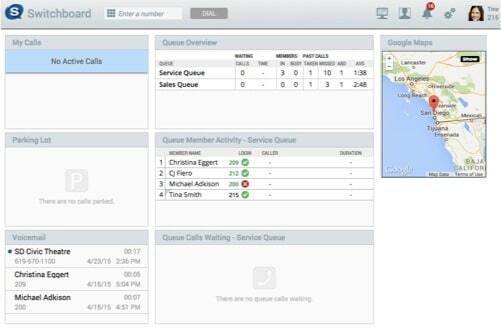 Drag-and-drop calls, chat, update your CRM notes, and set up conference calls, all with the unique capabilities of the Switchboard web-interface. Communicate by text from your PC, smartphone, or tablet to get instant answers from colleagues without ever asking your callers to hold. For incoming faxes, Switchvox converts it to a PDF then e-mails it to the desired Switchvox user. Outgoing faxes can be sent just as easily. Not just for call centers, Switchvox and Digium phones bring powerful call queuing functionality to even the smallest business that needs to efficiently handle inbound calls. Great for training and auditing calls, managers can easily monitor, whisper, barge and record calls from the Switchboard or from your phone. Instant message, video chat, and screen sharing with your external contacts and customers easily — it is all built in, no extra charge. 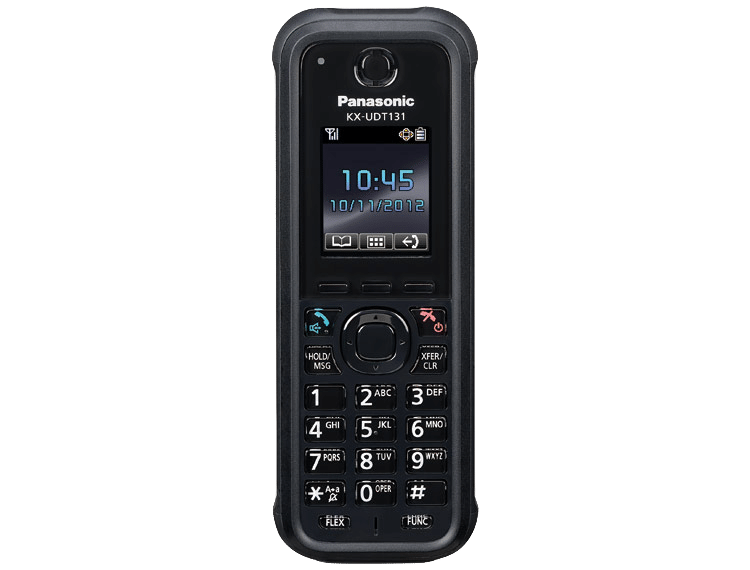 Rugged Cordless, IP65-level dust & water resistance. Switchvox is in a league of its own. It’s reliability is solid. It’s value is hands-down the best, dollar-for-dollar. And let’s not ignore, Switchvox is designed, built, and managed from the same company that disrupted old monopolies and revolutionized the telecommunications industry as the first to open phone systems to the Internet age. Switchvox gets it right because they know their stuff. They lead the industry because they created it. Get a quote and find out why Switchvox is the right choice for your business. We just know we’re the best business phone system around right now and seeing is believing, so we put our money where our mouth is! With plans starting at $12.99, get a quote and see for yourself. If you like the quote, we can set up a 30-day demo! With a one-year limited warranty, you can focus on growing your business. If you decide to rent your phones from us, the warranty is extended during the entire rental period. Optionally, the warranty on purchased phones can be extended to five-years for a very small cost. Ask us to include the option in your proposal. 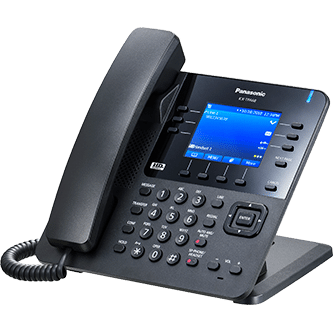 Why choose a phone system with its own brand phones? The Switchvox phone system supports any standard SIP phone including Cisco, Polycom, Yealink, softphones, and more. But the Digium phones are unique because they fully integrate with the Switchvox system and all its features. Click to read this blog entry that demonstrates just what make the Digium phones like no other in the industry! Do you offer a demo or free trial? Yes, we do offer a 30 day free trial of our Switchvox cloud service with five Digium phones shipped to your door to test! Complete this simple form and we’ll get you set up with your own demo server, configured however you like. Does Switchvox offer fax capabilities? Absolutely. First, you have the ability to receive all incoming faxes in your e-mail as a PDF. Second, you have the ability to send e-mails from your desktop PC with a few simple clicks. If you still need to use a physical fax machine, you can dedicate its extension to just sending faxes and let Switchvox manage all of the incoming faxes. Yes. You can easily connect a wired or wireless headset to any of these phones. Ask us to include the number of headsets you need to your proposal and let us know if you’d prefer wireless or wired. Yes. 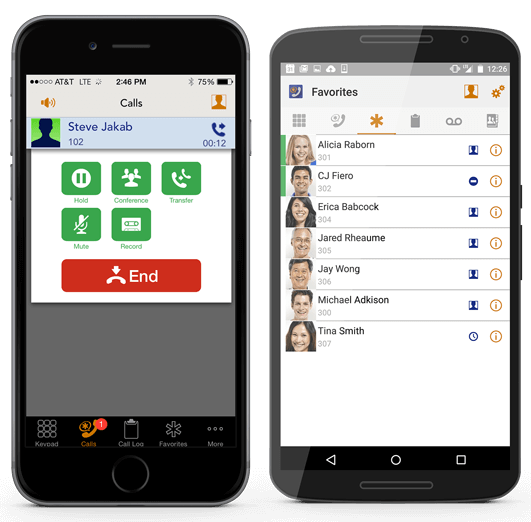 Paging is supported to allow you to announce your one-way voice message to any group or all phones. And, unique to Switchvox, you can also page across multiple sites/physical locations. Also, optionally, Switchvox allows you to create a two-way paging group that turns on all microphones and speakers for instant hands-free answer-back to your group announcement. 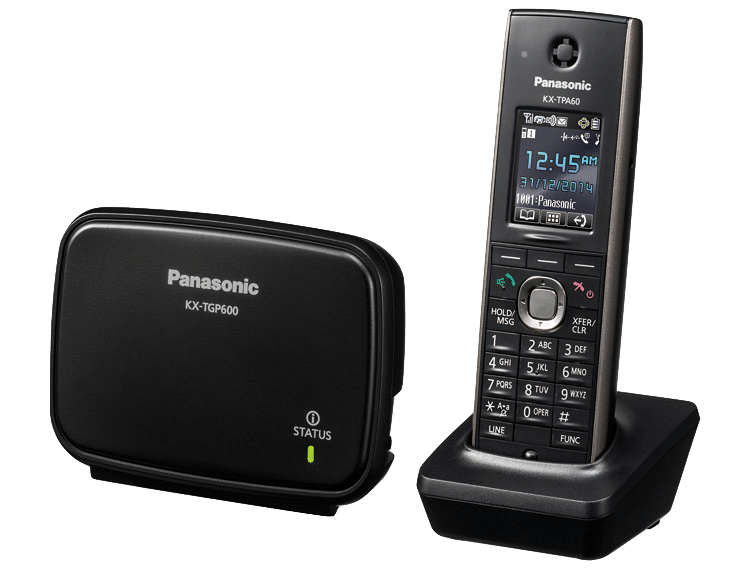 If I receive a call transferred to my cell, what can I do with it during the call? 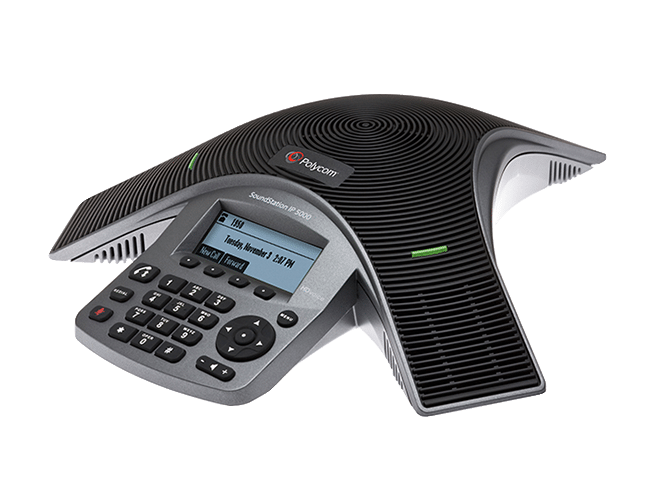 When a call is transferred from Switchvox to your home phone or cell phone (instead of using the iOS or Android app, for some reason), you have “hidden” options that emulate features you would normally have when using a desk phone. 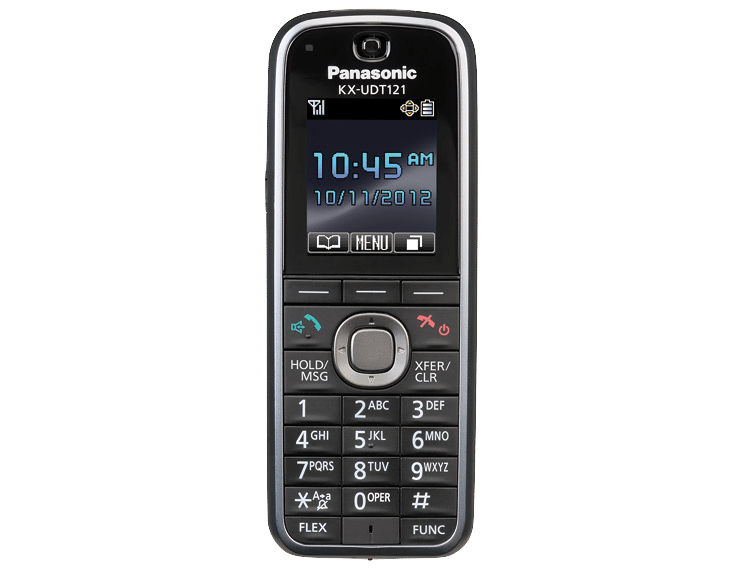 Those include the ability to place the call on music-on-hold, transfer the call to any other user, send the caller to your voicemail (or someone else’s voicemail), or enable immediate call recording. Does Switchvox offer Visual Voicemail? Yes. Voicemail can be accessed through the screen of the Digium telephone, allowing you to scroll up and down through the list of all voicemail messages (and call recordings) showing the time, date, and Caller ID of each message allowing you to quickly choose which messages to play and which to delete or forward. 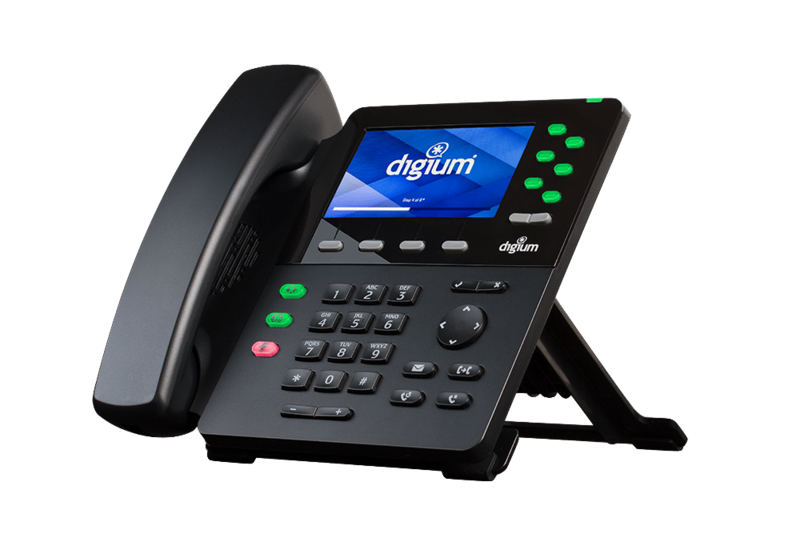 The Digium Switchvox system integrates with any telephone service provider that offers PSTN (or POTS) analog, PRI (digital) telephone lines, or SIP Trunking (VoIP), or you can choose to have us host the phone system in the cloud and use us as your phone service provider. Contact us if you have any questions. Yes, we do offer financing through our select lenders. Our attractive financing options make Switchvox easy to implement within consideration of your available budget. Our proposal/quote will typically include one financing suggestion, but please do not hesitate to express your interest in other financing options so we can explore which program would be the best for you.